This month's edition shows how counterfeiters alter notes despite them being printed with multiple security features. 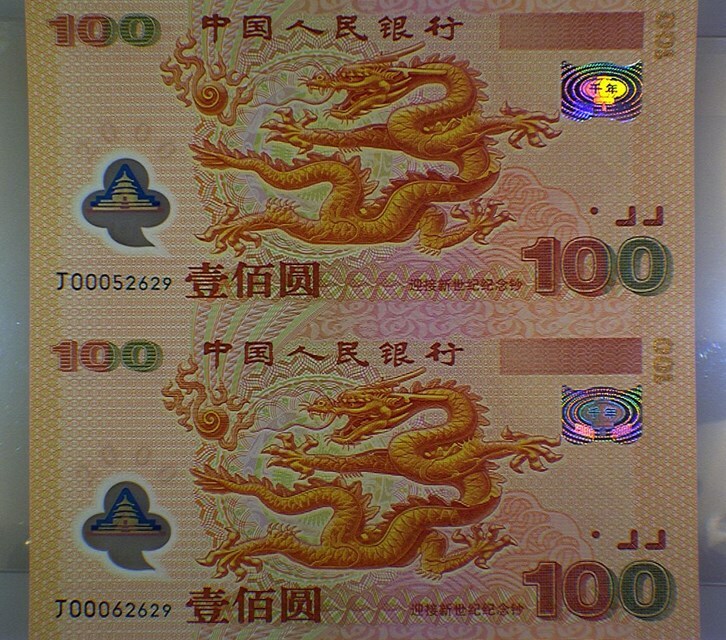 One note that we see quite often here at PMG is the China Pick #902: a year 2000 commemorative issue printed on polymer plastic with a number of visually appealing security features. Unfortunately, however, it seems that not even all of the UV, holograms and OVDs added to these notes can stop counterfeiters from trying to turn a quick profit. This month, we will be looking at a note that recently came in for grading and was determined to have an altered serial number. To make things even more interesting, this note is actually an uncut pair — which means that the counterfeiter actually had to alter two serial numbers in this case! Luckily, this deception was not able to get past our team of experts. 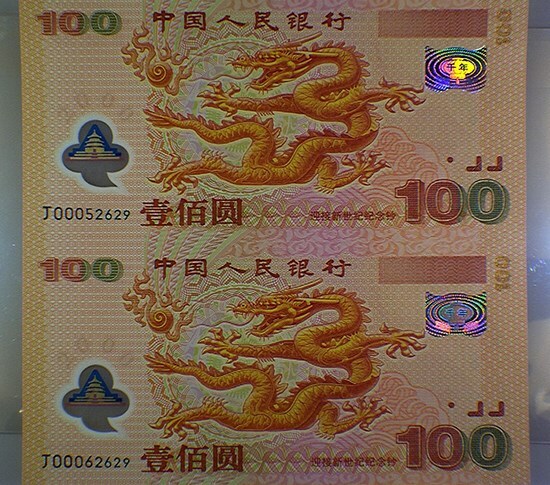 China 100 Yuan Polymer Note. Close-up of the serial numbers on the counterfeit un-cut pair. 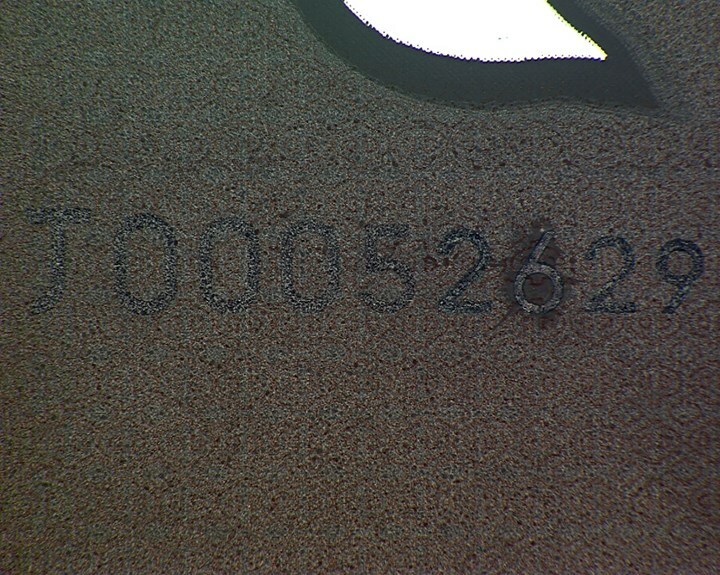 Above are images of the full uncut pair, and a close-up image of one of the serial numbers. Looking through a loupe, our graders were able to see that something was a bit off about one of the digits. Just from the image above, can you guess which number was in question? 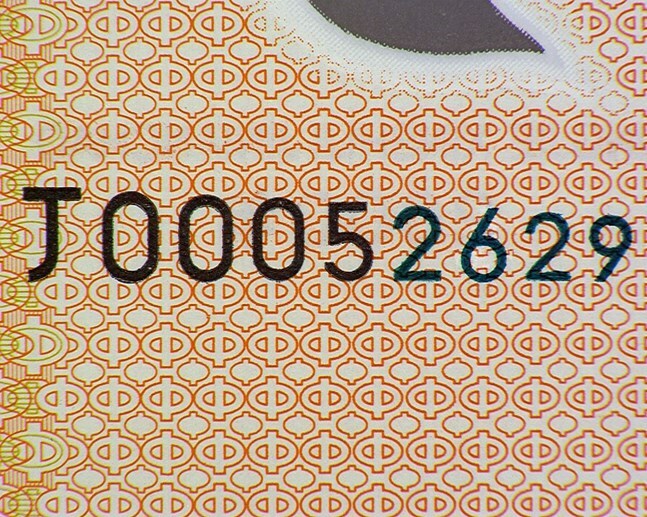 Close-up of the altered serial number. If you guessed the 6, congratulations on your detection skills! Under higher magnification, we begin to see that some of the details are off here. Though the counterfeiter did a very good job at matching up the underprint, the edges of the orange shapes appear much more inconsistent when viewed at close range. 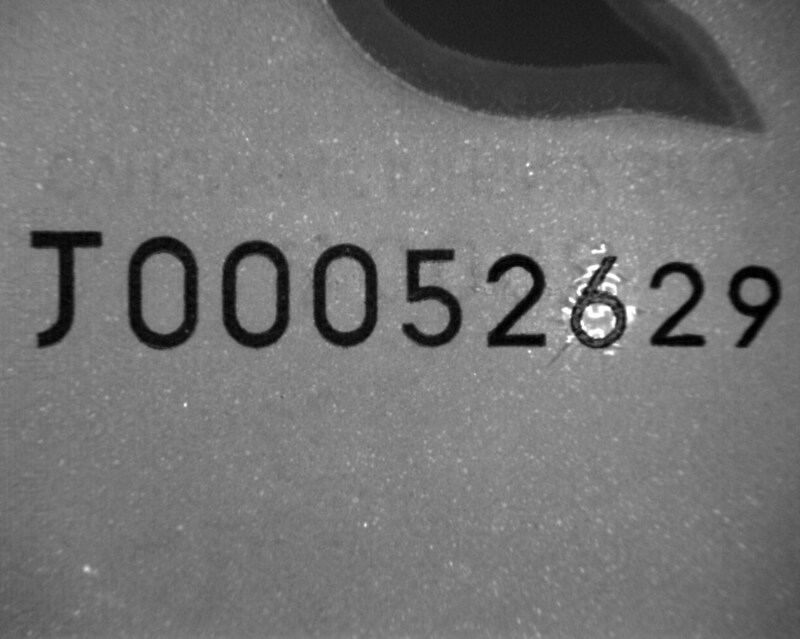 Just to be safe, though, we used some additional light sources to gather further proof before deeming this an altered serial number. Additional light sources help identify alterations. Under special lighting, the deception becomes much clearer. The above light source is particularly useful whenever we are dealing with polymer notes — the texture of the plastic reacts in a certain way, and any changes to that plastic become glaringly obvious. 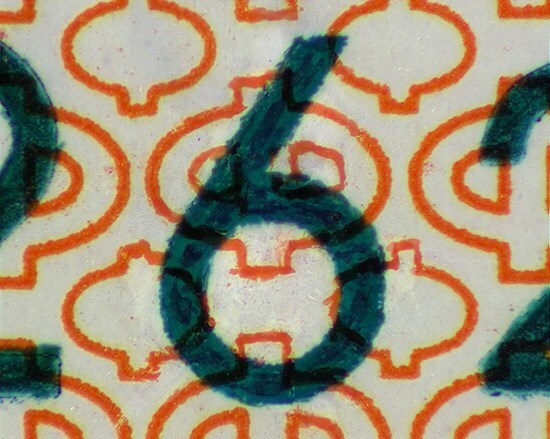 As such, we are now able to see very clearly that the 6 is not original to this note. At this point, we would be able to stop — it is very clear that the note has been altered and it will not be graded — but so far, we do not know what the original number was, or why it was changed. So we decided to investigate further. Under a different light source, the counterfeiter's ink shows brightly on the altered note. A different light source easily answers our remaining questions. The ink that the counterfeiter used to redraw the fine details of the underprint is very slightly different from the original ink, and that foreign ink is reacting brightly, whereas the surrounding underprint is not. Therefore, we can now see the distinct outline of a 4 beneath the 6. This may seem confusing to some Western collectors, but in Chinese, the word for “four” is pronounced almost exactly the same as the word for “death,” making it an extremely unlucky number. Just as hotel buildings in America often avoid a 13th floor, so too do many Chinese collectors avoid banknotes that have a 4 in the serial number. It seems that whoever originally owned this note believed that a 4 in the serial number would decrease the value of their piece, so they decided to take matters into their own hands and make it less unlucky — though surely, it was not a lucky day for whoever decided to purchase this particular note.